As you know, I’ve been busily plotting and planning for my Christmas party this coming Saturday, and am guessing that many of you are doing the same. 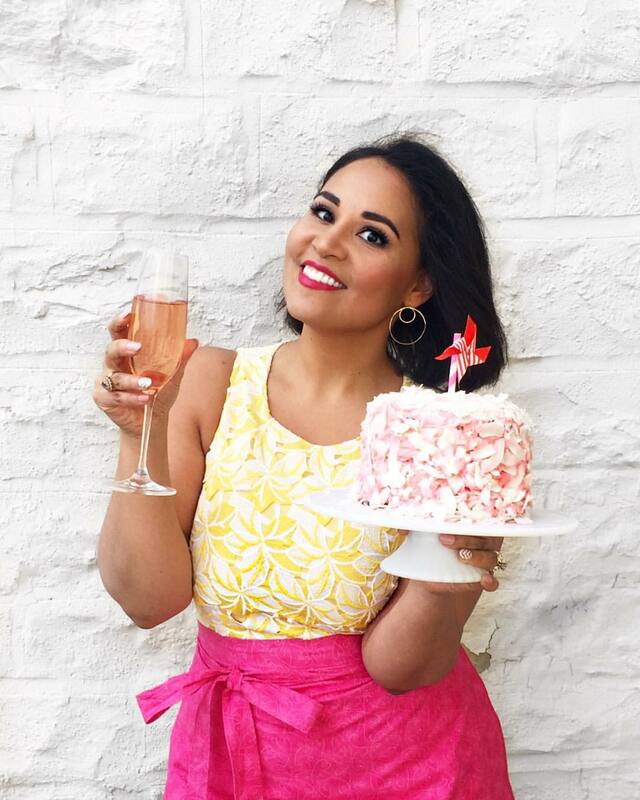 I thought I’d feature a few great desserts that you might like to try for your guests. As always, there are many more ideas listed in my recipe index, and I’m always happy to help or answer any specific questions you may have about my recipes. Just send me an e-mail! This is a quick and easy cake that will look drop-dead gorgeous on your holiday table, but no one will suspect that it took less than an hour to make. 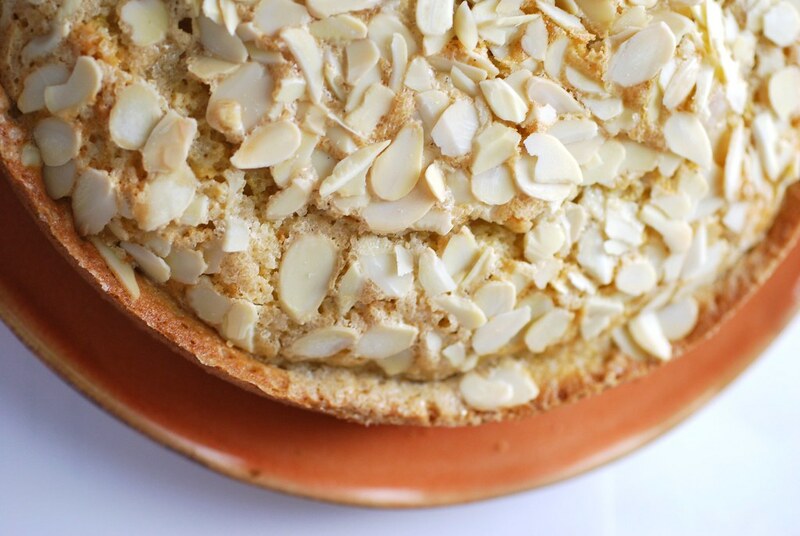 A glass of chardonnay is the secret ingredient that makes this cake ultra-moist, while adding a nice hint of boozy flavor, all topped off with a crunchy crust of sliced almonds and sparkling raw sugar. Get the recipe here. Saffron is technically the most expensive spice in the world, but in reality, it probably won't cost you much more than any other ingredient in this cake. While by weight it's pretty pricey, nearly all saffron recipes really only call for a tiny pinch of it, which you'll find is totally affordable. I usually buy it at the grocery store in little bags or tubes for about 3-7 dollars--and that's enough to last me through several sweet and savory dishes. 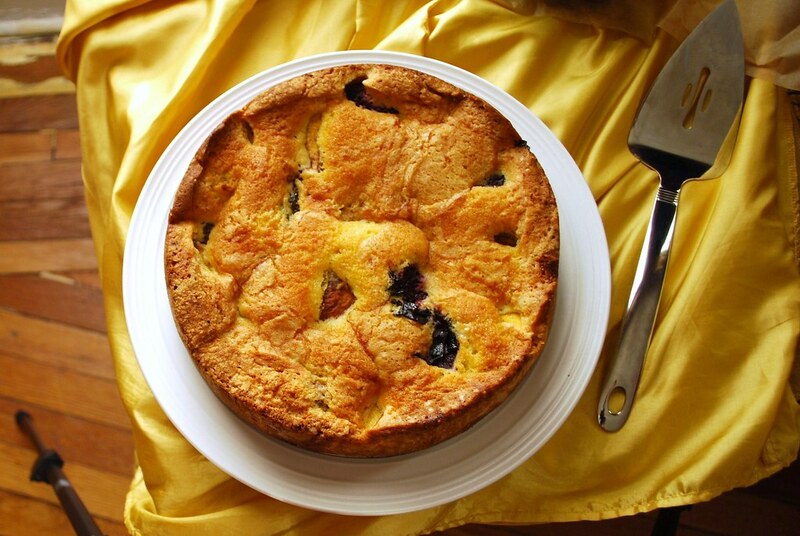 This cake is definitely a great place to start incorporating saffron into your cooking: a sultry and aromatic dessert rich with fruit and a moist almond-flavored cake that can be made in about an hour from start to finish. In the summer I like to use fresh fruit, but you can also use frozen peaches and dried plums for a great winter version. Get the recipe here. 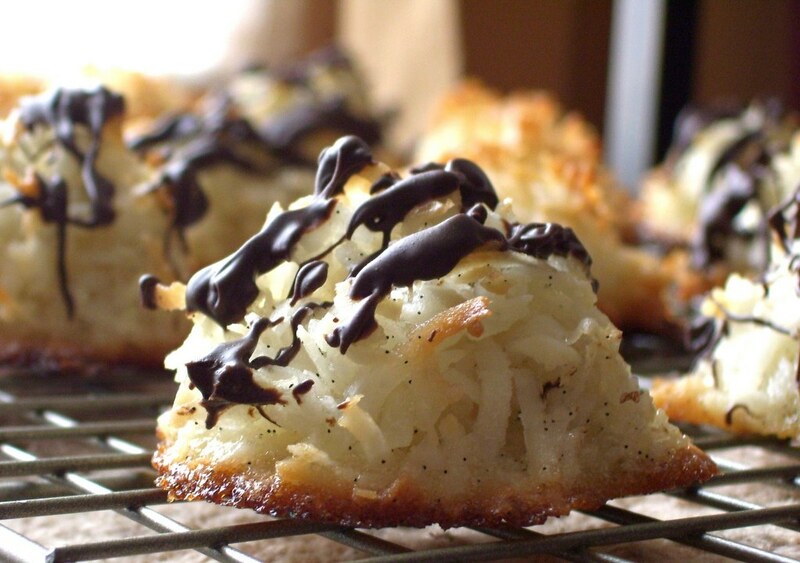 Classic coconut macaroons are updated with the addition of a whole fresh vanilla bean. A platter of these served after a rich dinner or at the end of a holiday cocktail party will leave your guests with a sweet taste in their mouths. Drizzle them with chocolate for an added twist or leave plain and call them "Coconut Snowballs" to play on the holiday theme. Get the recipe here. 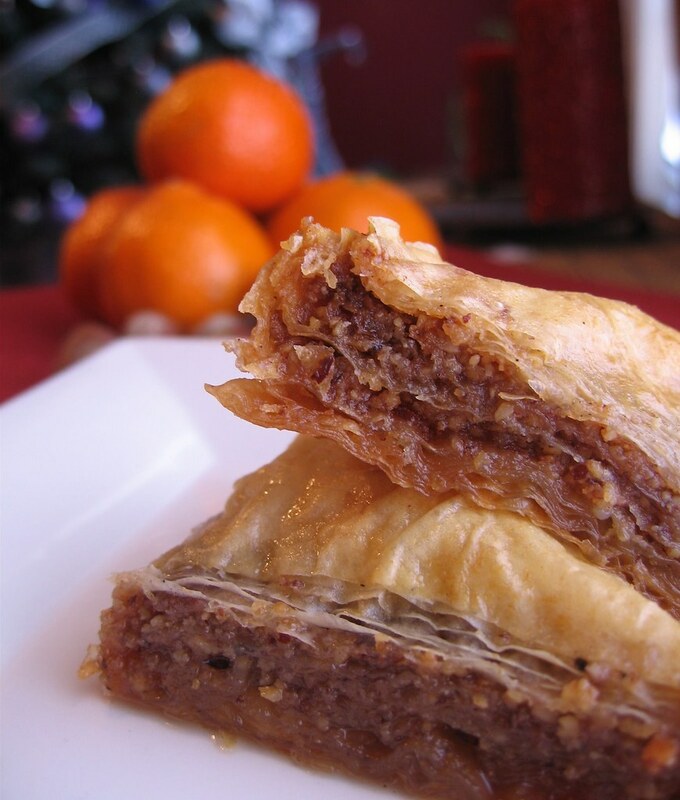 In this recipe for easy homemade baklava, I infused traditional holiday flavors of orange and cinnamon into the classic Middle Eastern treat. Crisp sheets of flaky, buttery filo dough envelope a sweet blend of ground hazelnuts rich with orange-flavored syrup and hints of cinnamon and nutmeg. The recipe can be prepared in advance and is already portioned into individual servings. Read through the step-by-step recipe to see for yourself how easily this can be made at home. Get the recipe here. 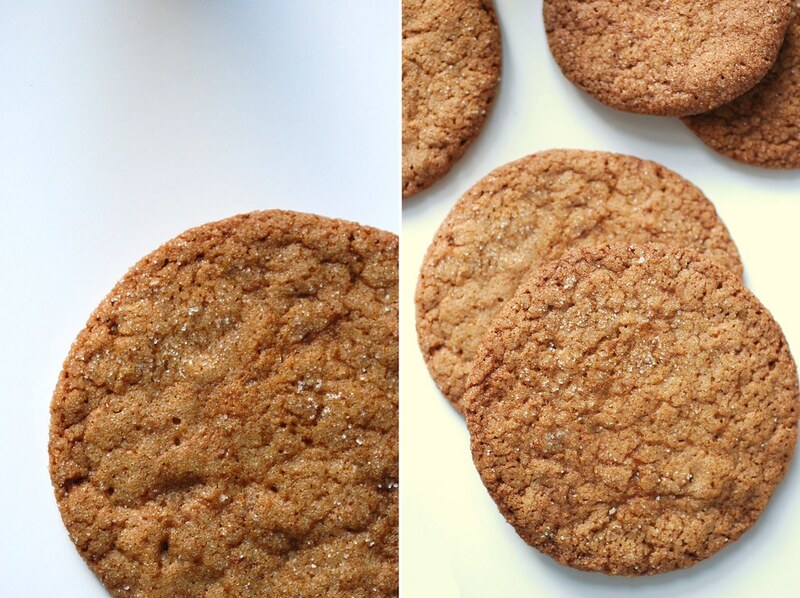 These sweet and salty ginger cookies are completely addictive, and will become instant favorites of any ginger or molasses cookie fans. Tonka beans add a little hint of extra spice, but you can easily replace it with a little nutmeg and clove. A bonus for the holiday season is that they keep really well and can be made several days in advance (just make sure you keep your family's hands out of the cookie jar until the big day!). Get the recipe here. Oh snap, that chardonnay cake with the sugary almond top looks freakin killer. My family would definitely love that. Not because they loves cake or anything, mostly because they're all winos. I need to make some baklava again. I haven't made it since I was about 14, before I knew better than to bother with walnut baklava and to just go straight to pistachio. You've inspired me! I'm still not making jello-based foods though. Yech.